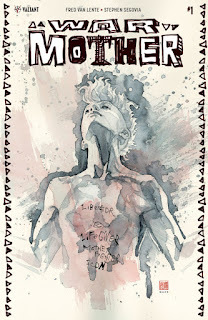 The Fellowship was fortunate enough to obtain a copy of WAR MOTHER #1 from Valiant Entertainment. Fred Van Lente writes, Stephen Segovia draws, Elmer Santos and Andrew Dalhouse color, and Dave Sharpe letters. Ana is the leader of the Grove now that Sylvan is dead. But the Grove is dying, and will not sustain the people for much longer. And now they’re receiving a message from La Montana promising, well, a lot. The people want to go, so Ana travels to this new place on a recon mission. Her mission raises more questions than answers, though, and the people of the Grove are already in transit. This is a simple story of survival in a post-apocalyptic Earth, and the way they make this story cool is in the details. The Grove is a small group hiding in a big world that mostly wants to eat them. And Ana is the War Mother, with the skills and tools to protect them. The art also gives us a fascinating blend of wildlife and ancient technology that adds more levels of detail. If you’re into great characters in cool stories with amazing worldbuilding, you can’t go wrong with a Valiant book in general, and this book in particular. Go pick this one up. 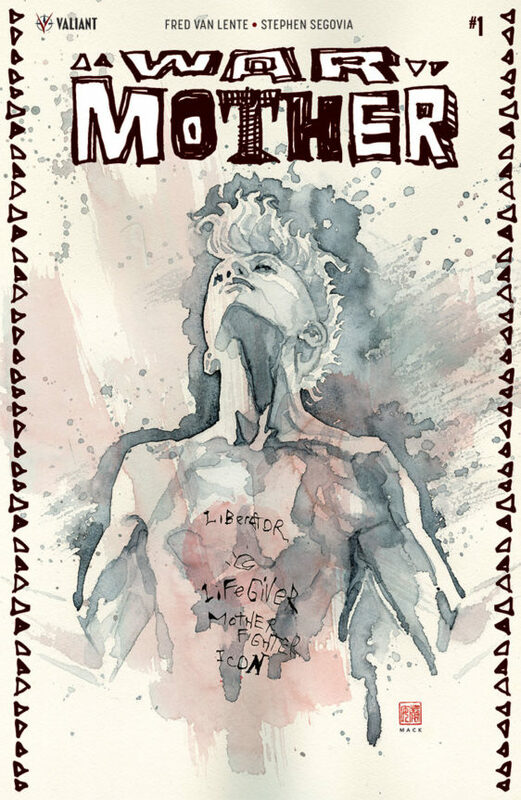 WAR MOTHER #1 is available now from your local comic shop, or online at valiantuniverse.com.